ThermAdor Industrial is available with a choice of track arrangement. We will be pleased to email full technical specifications on request. Our specialists are pleased to answer technical queries regarding the use of our products from the specification stage right through to installation. Our customer services department provides a professional, friendly and efficient service. We’re always happy to help. To complement our industrial sectional door range, we offer a high quality, comprehensive range of accessories and components. Depending on your requirements, ThermAdor Industrial can be operated manually or with an automatic opener. We offer a range of motors for automatic operation, all of which are CE marked and have safety features as standard. 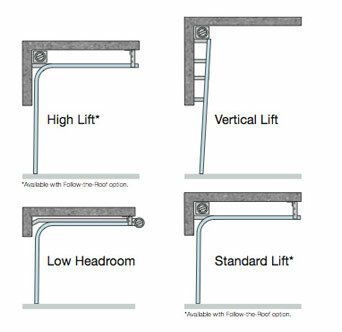 Manual doors may be push-up (up to 3000mm x 3000mm) or operated using a chain mechanism (over 3000mm x 3000mm). An optional handle footplate is also available. Did you know that if you damage a panel, you don’t need to replace the complete door? For your convenience and peace of mind repair panel and many replacement parts are available ex stock. Items can be bespoke ordered if required. 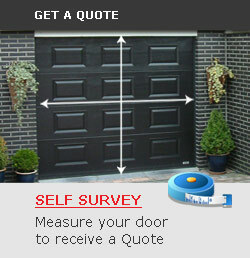 Maintenance and repairs are carried out by our national network of door specialists.